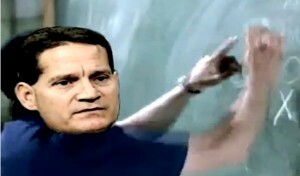 Reports last night are surfacing that Auburn head coach Gene Chizik will be out at the end of the season. That's not a HUGE surprise for most college football fans. With a 2-7 record and with Georgia and Alabama on the horizon, the likelihood of Chizik surviving this season is slim and none. The surprise out of this story may be the candidates listed. While Bobby Petrino is on everyone's list, the name that surface to the shock of some Auburn fans is Louisville offensive coordinator Shawn Watson. Watson, who was the Nebraska offensive coordinator a few years ago, struggled in that capacity. He also has no experience on the Division I level as a head coach. The question I asked last night is why isn't Louisville head coach Charlie Strong not being considered for the position? I would think with the season Auburn is having, that would be enough for any Auburn fan to want to fire him. Anyway, that is just my opinion and these next few weeks will be interesting in this job search.